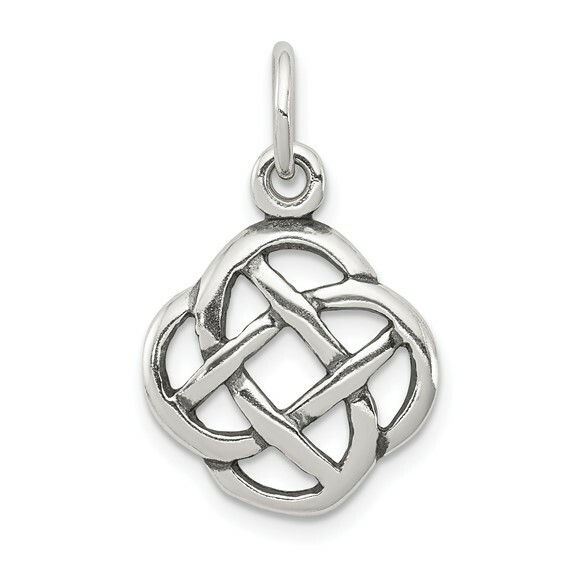 This small Celtic knot charm is made of sterling silver with antiqued finish. Measures 1/2 inch tall by 1/2 inch wide without bail. Weight: 1 gram.